The Arlington nursing home abuse & neglect attorneys of Nursing Home Law Center LLC have many years of experience litigating on behalf of the many victims of neglect and mistreatment in nursing facilities. In recent years, there has been an epidemic of nursing abuse cases and this will have a profound impact on the Arlington community in coming years as more residents reach the age of retirement. In order to help prevent further instances of abuse, we have compiled the following information about the worst rated nursing centers in the area so that you are able to avoid placing the people you care about into an environment that is not healthy or suited to their needs. Medicare routinely collects information on every nursing facility in Arlington, Virginia based on data gathered through inspections, surveys and investigations. The publicly available database reveals that investigators found serious deficiencies and violations at twenty-two (23%) of the ninety-six Arlington nursing facilities that caused injury or premature death to residents. If your loved one was mistreated, abused, injured or died unexpectedly from neglect while living in a nursing home in Virginia, let our team of dedicated lawyers protect your rights starting now. Contact the Arlington nursing home abuse & neglect lawyers at Nursing Home Law Center (800-926-7565) today to schedule a free case consultation to discuss filing a claim for compensation to recover your damages. Over a period of five years, the population of Arlington has sprouted from 207,600 to 216,700 and the distribution of age among its residents presents unique challenges in the years to come. While only 9% of Arlington’s population is over the age of 65, an additional 22% are between the ages of 45 and 64. This means that thousands of residents will be reaching the age of retirement in the upcoming decade and as residents continue to age, they will inevitably require assistive care. Residents that are 55 years of age or older may take advantage of numerous programs offered by the Arlington County Parks & Recreation Department meant to enrich and prolong the lives of seniors. Passes only cost $20 a year and allow members to access six senior centers, a host of fitness classes and sports activities, travel opportunities, social clubs and assistive programs. For more information, you can visit http://parks.arlingtonva.us/programs/adults-55/ or call (703) 228-4744. The rising number of nursing home abuse cases across the county is alarming to our Arlington nursing injury lawyers, which is why we compiled the data below using information provided by Medicare’s nursing home compare tool. This tool allows you to see whether a facility has a history of providing substandard treatment to patients and in what areas it has failed. Because there are numerous facilities serving the area, our Arlington nursing injury lawyers have offered information on only the lowest rated centers. For information on homes not listed, you can access the nursing home compare tool at https://www.medicare.gov/nursinghomecompare or contact us and we will help you find a facility capable of providing your loved one with the quality of care he or she deserves. Primary concerns: While this facility’s staff quality and quality measures scores are mediocre at best, its health inspection history is the greatest concern. Poor health and sanitation measures can facilitate the spread of disease and infection, placing residents at dire risk when they are already more susceptible to developing infections due to their age. Primary concerns: Despite respectable quality measures and average staff quality, this facility has received a single star rating due to its abhorrent health inspection history. Until vast improvements are made to the manner in which it addresses these concerns, it is not a viable option for your loved ones. Primary concerns: This facility has the lowest staff quality rating possible and its barebones staff is unable to ensure that patients’ basic needs are met. Combine this with a two star health inspection history and this facility becomes an injury case waiting to happen. Primary concerns: While this facility has an excellent staff, health deficiencies and poor quality measures have brought its score down to a mere two stars. Primary concerns: This facility has scored an average rating in every area of assessment. This means that while things could be much worse, there is also much room for improvement in staff quality, health and sanitation measures and quality measures. 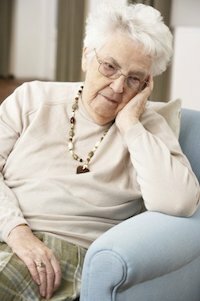 Primary concerns: Manorcare is a nursing chain that has earned a reputation in multiple states for its poor quality of care. It has been subject to investigations and lawsuits in recent history and is a perfect illustration of what happens when profits are allowed to become the priority in the nursing care field. This facility exhibits all of the typical symptoms— understaffing, health inspection deficiencies and environmental hazards that place residents at risk. Primary concerns: Minor understaffing concerns and a poor health inspection history are the primary factors impacting this center’s score. Nursing Home Law Center LLC is a national personal injury law firm that has helped thousands of people recover damages from those responsible for their injuries. Our Arlington nursing home abuse attorneys have years of experience and a proven track record of success when handling these types of cases. If you suspect that your loved one is being mistreated or neglected, or feel that a recent injury was due to a negligent action on part of his or her caregiver, contact us to arrange a free consultation so that we can investigate the matter and let you know more about your legal options. We work solely on a contingency basis, so we will only accept payment for our services when we’ve secured damages on your behalf.